Pennsylvania College of Art & Design's Fine Art Department periodically hosts its Lunchtime Informal Lecture Series to address issues that students find troubling, and to be immediately applicable to their studio work. On December 11, Evan Kitson. Fine Art Professor who teaches drawing and painting, addressed twenty students with a demonstration on the Structure of Light. Throughout his lecture, Kitson demonstrated tonal concepts and technical strategies through various drawings speaking about the value scale, how we perceive a value based on those around it, and why we see various values on forms in a spatial context. 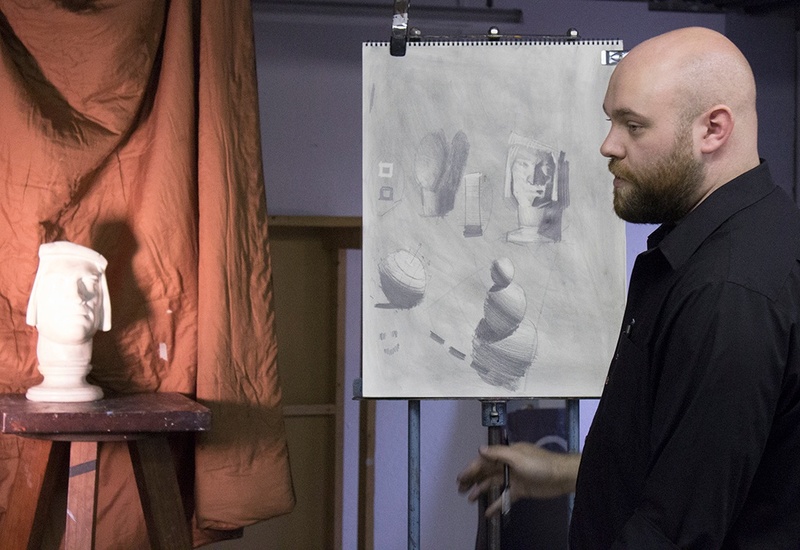 He began by showing the effect of light on a simple object and then sketched the light modeling a portrait cast. In both instances he provided a detailed system in which to approach recording light on form. Pictured below: reflected light on a red sweatshirt. This is Evan’s second lecture/demo. 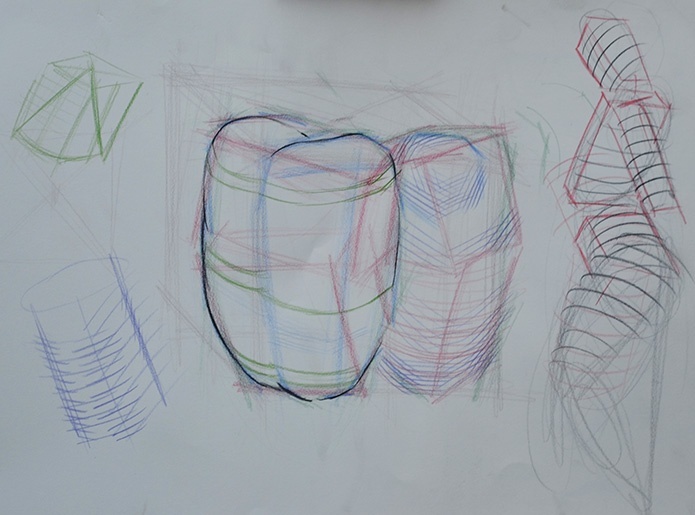 In November, he discussed how to see and build structural form in a drawing, and demonstrated how to simplify an organic form into a geometric structure and create a convincing sense of volume. 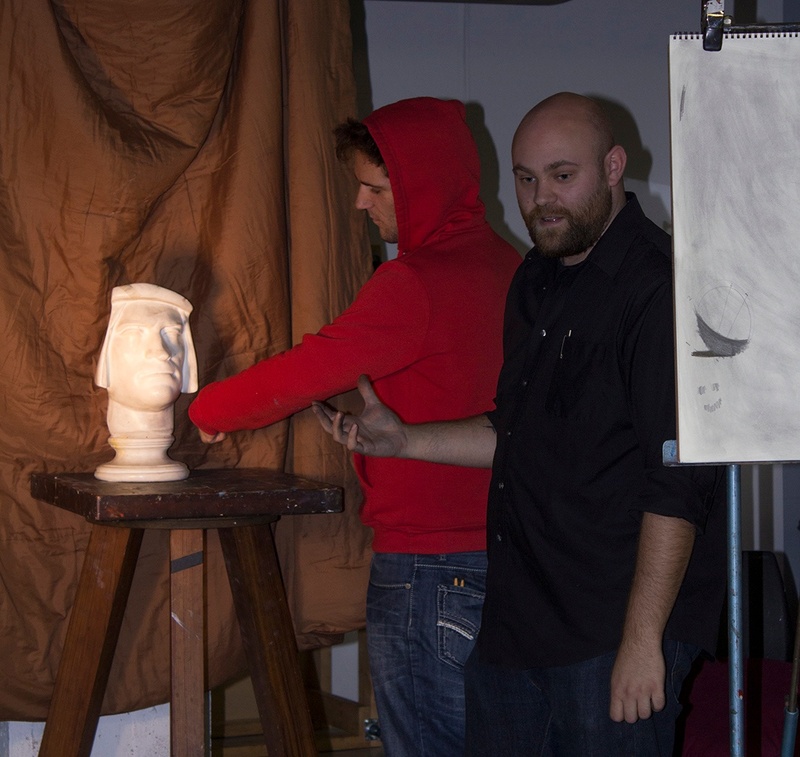 Picture: Evan Kitson's demonstration of structural form. The department plans to host the lecture series to address challenges and concerns commonly encountered by students in their work. Pictured below: Art of Evan Kitson's, demonsrating structure of light.